Already own in Rosehill Subdivision? Thinking of selling? Click here and read about current search trends & our web network. 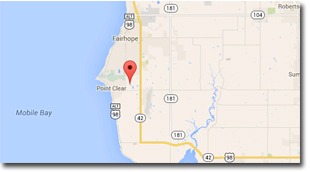 Rosehill subdivision is located in the South Fairhope, AL area very close to Mobile Bay. Rosehill homes are typically large spacious homes starting above 4,500 square feet and were built after 2000. Dairy road in Fairhope runs through the subdivision and most of the homes in the Rosehill subdivision are reached via this road. Please email us at info@condoinvestment.com and let us know if you would like to schedule an appointment to view any homes for sale in the Rosehill subdivision or any other homes for sale in the Fairhope and surrounding areas or call (251) Area-Pro (251-273-2776) for immediate assistance.